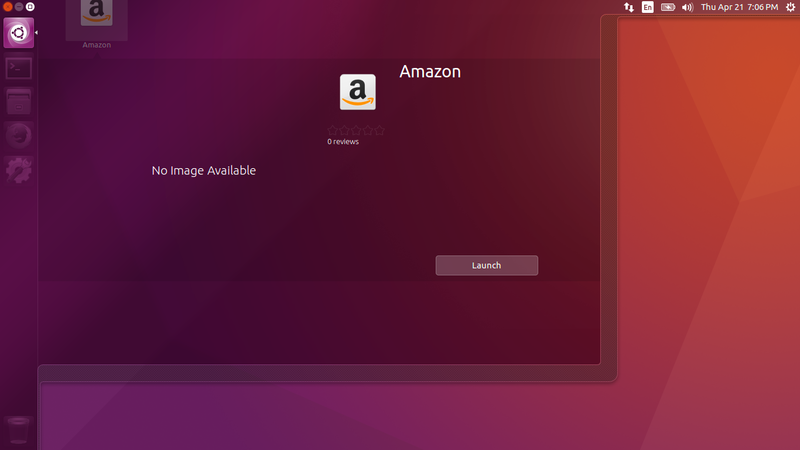 I was able to go to the ubuntu software center before and remove it and now it doesn't show up since the switch to the gnome software store. Trying the terminal method of removing the shopping lens doesn't work in this release. Removing the unity-webapps-common package removes Amazon from the dash. Since the Amazon webapp is part of that package, you can't just remove the Amazon portion (well, short of editing the source code). This is a problem when other programs (like Unity Tweak Tool) depend on that package. As Aibara Iduas suggests, removing /usr/share/applications/ubuntu-amazon-default.desktop is the solution. But it will come back with the next upgrade. The solution to copy the file to ~/.local/share/applications/ubuntu-amazon-default.desktop works only for the current user. To disable this .desktop file for all users on the machine, and to prevent upgrades from putting it back, the solution is to divert the file with dpkg-divert. The dash still requires the old ubuntu software center to uninstall programs, even though it is not included with 16.04. Install the software-center package and log out and back in to your account and then you will be able to view screenshots of programs and uninstall them by right clicking on them in the dash like in previous versions. You just click on the app then drag it into the trash (it work for me). Thats pretty easy now, press windows/superkey. In bash enter amazon to find the amazon software. If it is surreptitiously installed again, just run it again, or put it in a cleanup script you run when you update your OS. Can't say it's the solution, because first thing I did, was search "amazon" files and manualy deleted "/usr/share/unity-webapps/userscripts/unity-webapps-amazon/" (no this it didn't remove Amazon) and now the apt-get wont find the Amazon. Not the answer you're looking for? Browse other questions tagged unity launcher 16.04 amazon or ask your own question. How can I uninstall amazon app on ubuntu? How to uninstall Amazon app in 17.10, 18.04? Why removing Amazon also remove other packages? Where is the UIM notification area icon in Unity? How do I install unity-lens-shopping? How to completely remove Unity, and replace it with Cinnamon? Is this the actual 16.04 release of Ubuntu GNOME?